An immersive craft cocktail experience from local distilleries, enjoy upscale appetizers and the action of live racing. 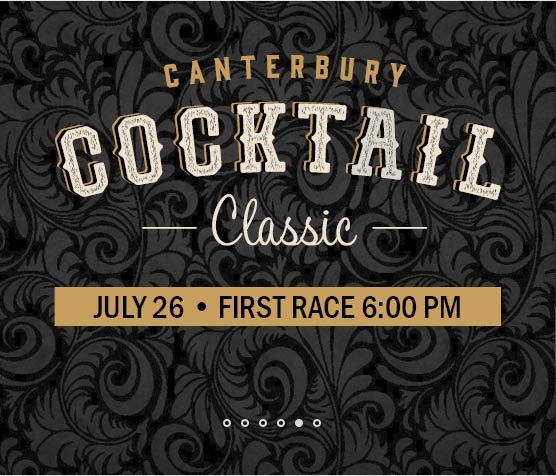 The Canterbury Cocktail Classic on Friday, July 26 is your chance to indulge in delicious drinks from local producers of fine spirits. Don’t miss your chance to sample spirits and experience live horse racing at the same time. • Live racing starts at 6 p.m.
*Limited amount of walks ups will be taken. *Must be 21-plus to purchase either ticket. Ticket fees apply.